Thankfully I am finally able to catch up on some of the more recent projects we have had the privilege of working on. This Saltillo floor was in very poor condition due to the prior owners neglect and general abuse. The before photo makes my spine tingle and will give me another subject to talk about with all of you – The proper types of backing for your rugs! The rolled rubber seems to be the easiest and most readily available, so it tends to make it under an awful lot of rugs. Depending the surface it is on, the damage can range from light to very severe without chance of repair. I will make a separate post about this subject later this week so watch for it! 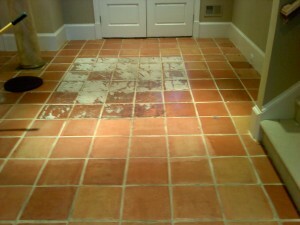 Ok ok, back to the saltillo restoration project – this floor offered quite a few different challenges. Kind of like the stubborn child! We stripped the floor multiple times and in the end had to razor the remaining rubber glue residues. Not fun, but very necessary. 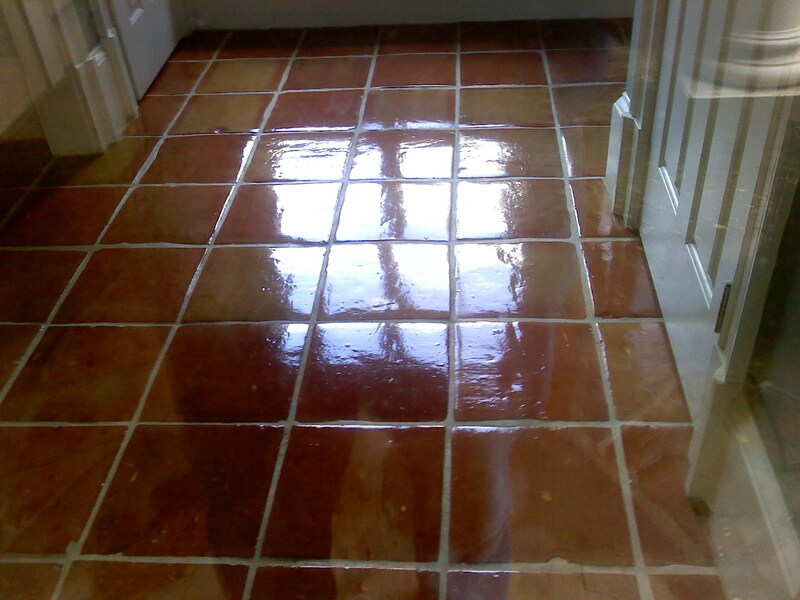 After stripping we focused on actually cleaning the grout lines as best we could. 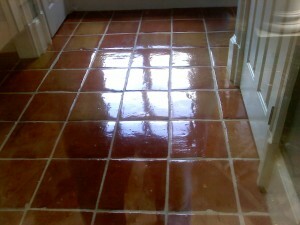 This included a alkaline steam cleaning and even an acid treatment to try and minimize the staining that had occurred. After the floor dried overnight, we applied many coats of sealer for the new homeowners to live on and protect the raw saltillo. These type floors are best when maintenance is planned every few years at the least.